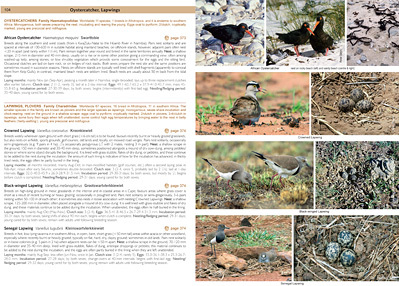 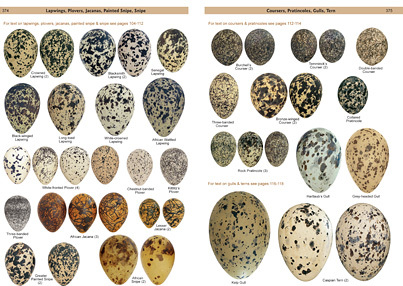 and examples of a double-spread of a nest page and an egg page. 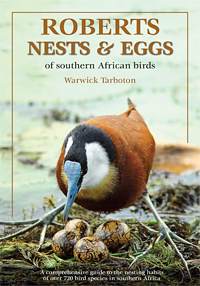 The 415 page book covers all the species that breed in the region and is illustrated with over 1300 photographs of nests and 1200 of eggs. 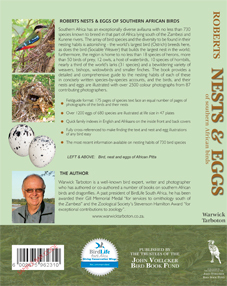 Published in October 2011, it retails for R280 and is obtainable from Netbooks and a selection of bookshops.